If you want to learn more about essential oils and how to use them, you’ll find that there’s a lot to wade through! 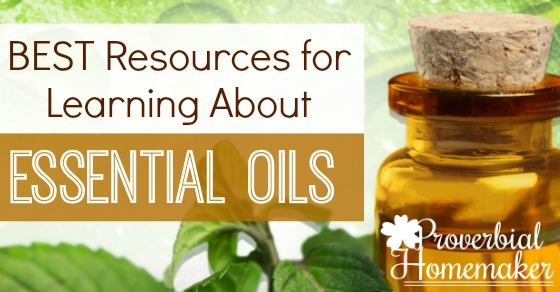 You’ll want to start with this list of the best resources for learning about essential oils. I’ve gathered a fantastic set of books and web sites just for you, and highlighted my favorites. Some you’ll want to snag from the library and some you’ll want to tuck into your bookshelf for ongoing reference! BEFORE YOU GO, scroll to the end of this post for an exciting announcement! When it comes to finding reliable information on essential oils, there are a few things to keep in mind. Just like with many topics, you’ll find a variety of opinions on the details. In the case of essential oils, this usually includes which brand of oils to use and what safety precautions should be observed. I enjoy gleaning tips and information from a variety of sources, but I started out with brand-neutral books (and sites, if possible) so that I could get what I believed was a more objective take on essential oil use. Now that I have just a bit more experience under my belt, I can use tips and information from more “biased” sources and skim past the things that are brand specific or use safety standards that are different than my own. I say all that so you can be aware of it and what you’d like to pursue as you learn more about using essential oils for your family. If you go to my essential oils Pinterest board, for example, you’ll see that I pin many articles and recipes that use companies I don’t necessarily buy from, and that’s ok. Safety concerns can be a more sticky area, but once you have a good reference you trust on things like child safety and whether or not to ingest oils, you too can pick through those things to glean great information. 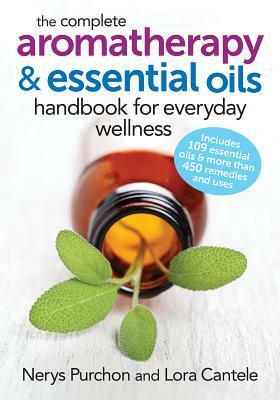 Here is a great list of books and web sites to get you started learning about essential oils! I’ve put my favorites at the top and the rest are listed in no particular order. 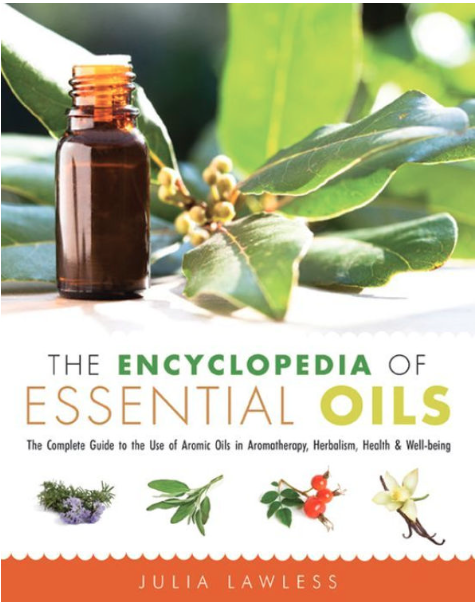 The Complete Aromatherapy and Essential Oils Handbook for Everyday Wellness – This is currently my favorite “getting started” book. 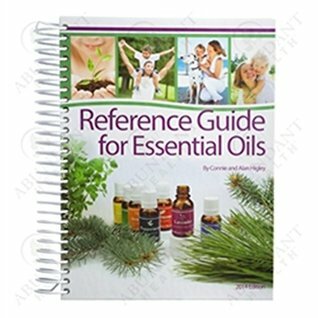 You’ll find a great overview of information, great recipes, essential oils profiles, and more! 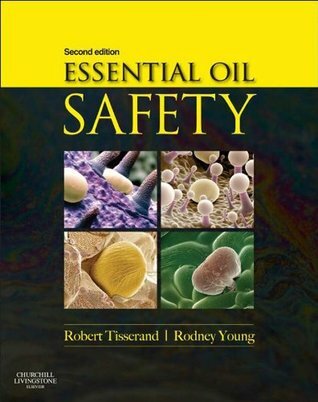 Essential Oil Safety – This is a great in-depth book if you want to really dig into essential oils and get a more academic take on things. Robert Tisserand is an expert in the field. I also enjoy reading his blog. 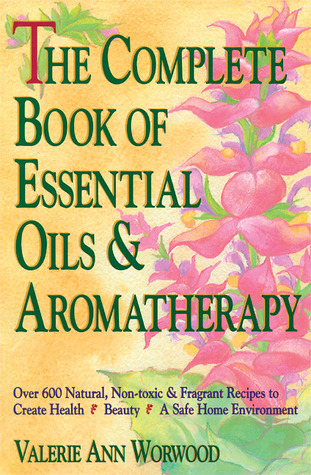 The Complete Book of Essential Oils and Aromatherapy – I especially enjoy the recipes in this one! 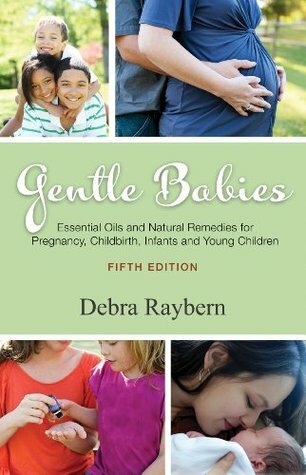 Gentle Babies Essential Oils and Natural Remedies for Pregnancy, Childbirth, Infants and Young Children – This one is next on my to-read list! You can also look up some web sites such as the Rocky Mountain Oils blog and AromaWeb. Pinterest can be a fun place to browse (just be aware of those safety and brand issues I mentioned earlier). Here’s my Essential Oils and Natural Living Pinterest board for a fun place to start. Getting Started with Essential Oils FREE 7-Day eCourse! 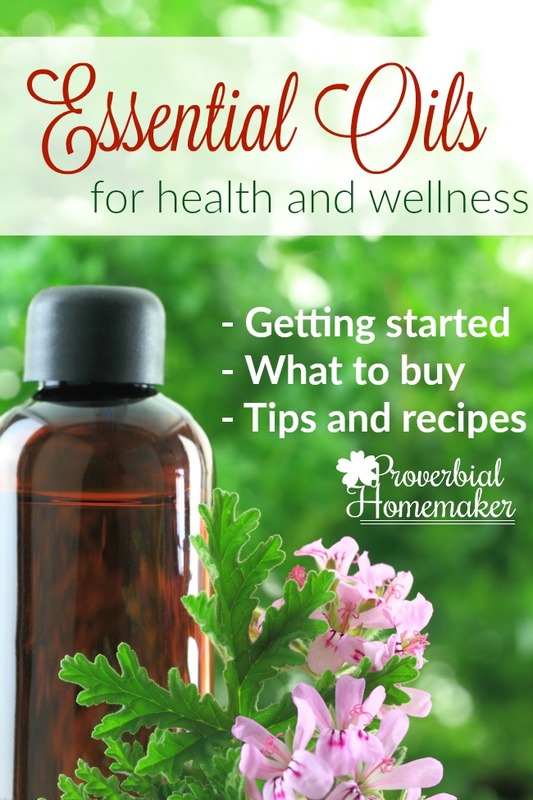 Rock your homemaking (and support your family’s health) with essential oils! This free ecourse includes helpful information like which carrier oils to use, safety concerns, using oils for health and household, and more! 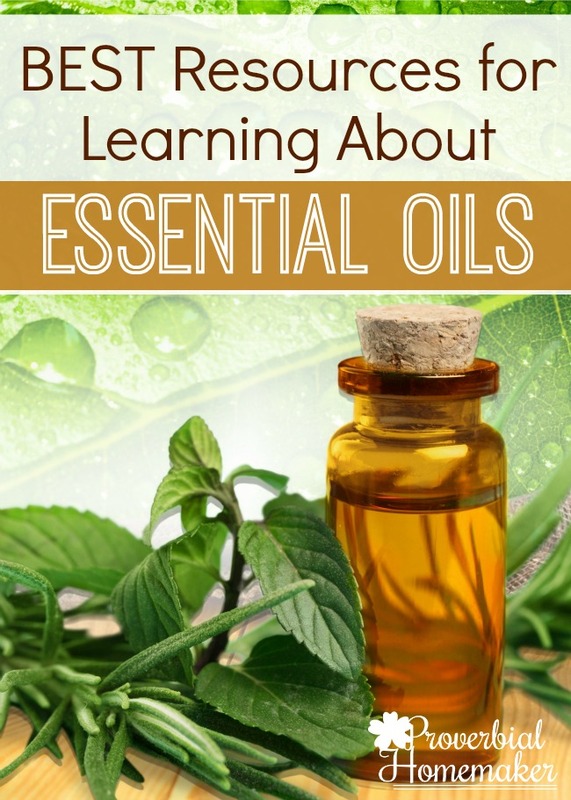 Join the Getting Started with Essential Oils eCourse! Just curious. Are you an affiliate or otherwise profiting from the brand you are advertising? Great if you are! Just wondering? Hello again Sheila 🙂 Yes, I have been affiliate with Rocky Mountain Oils for over a year! I pursued it when I realized how well their products worked and was shocked out of my skepticism 😉 I promote many companies on my blog and several (though not all) of them are affiliates or sponsors. I’m glad I found an essential oils company I really love and they were open to developing an affiliate program. I’m also thankful there are different options out there for people to enjoy essential oils and that I get to share a variety of them with my readers. The link to the free ecourse doesn’t seem to be working. And, thanks for the articles! Essential Oils are something I’ve been interested in, but all the info out there is overwhelming. These are broken down into digestible chunks! Thanks Kim! I’ll check it out. People do seem to be getting in so maybe try it again? Let me know if you have trouble and I’ll add you manually. Thank you for this informative e-course. 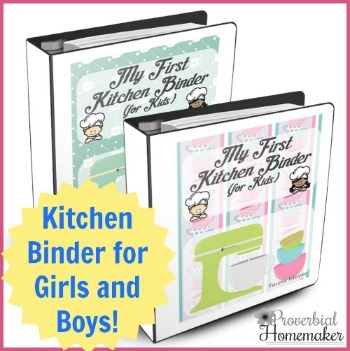 I’ve saved several of your PDF files and will be adding them to my EO binder. I too enjoy Rocky Mountain Oils EO and I also use Yl and Edens Garden. I’ve been looking for some books to add to my collection and I happened upon that first one on Amazon recently, but the reviews turned me off. If they don’t had the latin or chemical (?) names for the oils how do we know what were getting is genuine? There are several different types of orange oil all will different names. Gentle Babies is in my library but I haven’t read it yet. I’ve heard that it’s a must have for anyone who uses EO with children. And I want the Encyclopedia EO book. I’m waiting for my copy to come from the library before I purchase. I don’t have any great suggestions for your e-course. It was great so far and worth the read. It was quick and to the point. Thank you. 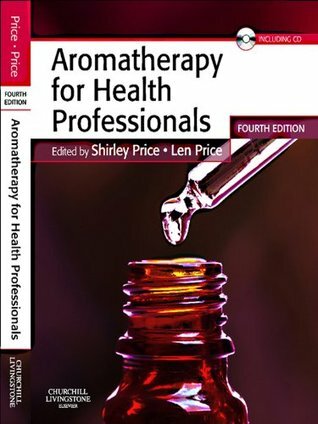 As far as the book (The Complete Aromatherapy and Essential Oils Handbook…), I only saw that on one review and I’m not sure what they were talking about. The latin/chemical names are listed for each oil type. I pulled it off the shelf and checked orange oils specifically just to make sure. 🙂 It’s still worth checking out from the library at least! Thank you so much for all the valuable information and resources about Essential Oils! I just got the last of our 7 day E.O. emails and feel so blessed to have read them as they have been so helpful as we start this E.O. journey. Our family has a lot of issues going on from Asperger’s to digestive issues, asthma, anxiety, as well as vision issues, etc. There isn’t a Dr. out there that has been able to help with all of these issues and all the visits are expensive along with meds that just don’t work. Or there is “nothing we can do for you” answers just don’t fly with us when we live with it every day. I know there is no magic cure, but God has equipped us with knowledge and wisdom and I believe that E.O. could be a wise part of the package! Thanks again for all your help! You are awesome! I’m so glad it was helpful Cathy! I’m so sorry to hear about all the medical trouble you guys have had to deal with. Praying for wisdom and relief! 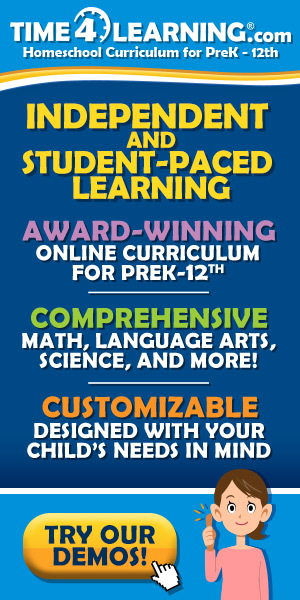 I am so pleased with the information listed in your e-course. I received a lot of information that I hadn’t thought about regarding essential oils. The one thing I would love for you to expand on would be the 25 recipes at the end of day 6. There are some of those I could really use. As to adding anything else to your e-course, I don’t believe there is, but you could always offer an advance class with other things you feel should be added. Thanks so much for the feedback Joan! I’ll work on those things – great ideas!